Gboard for iOS is getting YouTube and Maps integration by simply tapping the G button. The search giant has started rolling out a new update for Gboard that makes it easier to share location and video link in any messaging app. Gboard users on Apple's iOS mobile platform can just tap the G button and then Maps to share their current location or a local address. Gboard users will also get the option to share a YouTube link right from the keyboard. "Whether you’re coordinating a rendezvous point at the park or dinner plans at a nearby restaurant, meeting up with friends and family has never been easier. Just tap the G button then 'Maps' to share your current location or a local address," Alan Ni, Associate Product Manager wrote in a blog post. 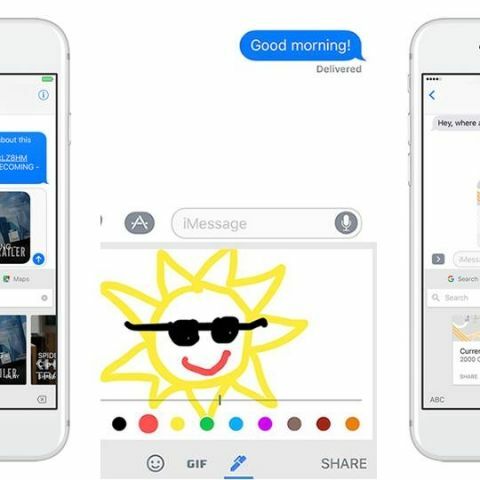 Gboard for iOS is also getting support for a new Ink feature that allows users to draw and share their creation right from the keyboard. Gboard users can tap on the emoji button and then click on the pen icon to share their own creation with others in a messaging app. Google debuted Gboard for iOS in May 2016 and it became available globally in July. The keyboard supports features like search, emoji, GIF sharing and recently added integration for translation tool. The keyboard already supports 22 Indic languages and the new update also brings support for Arabic, Hebrew and Farsi. The new features are being rolled out as part of version 1.8.0 update from the App Store. Google Gboard: The iOS keyboard you need to get right now! Which SIM is best for offers and good signal? How to add google adsense to blog/youtube channel?